SCAA Members: Please take a moment to participate in the election of new members of your SCAA Board of Directors. NOTE: The Second Vice President will Become Vice President on May 1, 2012 and president of the board on May 1, 2013. * Current member of the SCAA Board of Directors. 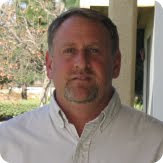 Skip Finley is the Technical Services Director for Cirqua(R) Customized Water (TM). Skip brings over a decade of experience and support to the specialty coffee & tea beverage retailer. His knowledge of the brewing and extraction process, and technical expertise in water “formulation” systems, has contributed to the success of hundreds of establishments in our industry. Skip started his career in the specialty coffee industry at Coffee Bean & Tea Leaf in 1996 as the Lead Service Technician and Brewing Equipment Specialist, with involvement in research and development. During his time at Coffee Bean & Tea Leaf, he was part of the team that took the store count from 20 to over 200. In 2002, Skip left Coffee Bean & Tea Leaf to take a position at Cirqua as National Service Director. Promoted to Technical Director in 2006, his duties include teaching and training in the specifics of extraction in regards to water chemistry and coffee/tea worldwide. With attention on the 98.5% of the beverage that is water, Skip has been a leading educator in water quality for the SCAA for over 10 years. 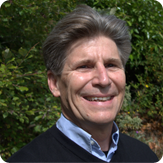 He has been a member of the Standards Committee of the SCAA for the past 7 years, is currently Chair of SCAA’s Lab Certification Sub-Committee, a member of the NCA Education Committee and sits on the Advisory Board for World Tea Expo. He also works closely with the Tea Association of America and Specialty Tea Institute. Skip is a past Member of the SCAA Brew Crew and is a frequent content contributor for SCAA brewing courses. He has been involved with the United States Barista Championship, World Barista Championship and the Roasters Guild in various aspects over the years. Skip is also a SCAA Certified Lead Instructor (IDP), as well as a frequent speaker at various industry events. Nathalie Gabbay, RGC Coffee Inc.
Nathalie began her career in the coffee industry in 2003 when she joined RGC Coffee Inc., a green coffee importer based in Montreal, Canada. She is responsible for growing RGC Coffee’s specialty coffee business in the U.S. and Canada, which includes all premium, traceable, certified and direct relationship coffees. A love of green coffee cupping eventually brought her to the SCAA, where she began volunteering her time in 2005. Nathalie has served on the Sustainability Committee since then and has also chaired the Sustainability Award Subcommittee, which is responsible for selecting and promoting the SCAA’s Sustainability Award recipient each year. Nathalie is also an active member of the Coffee Association of Canada and has worked to bring together specialty coffee companies on both sides of the border. Prior to joining the coffee industry, Nathalie worked in the Real Estate Investment Banking division of Lehman Brothers in New York. She graduated from the University of Pennsylvania with degrees in International Relations and Economics. 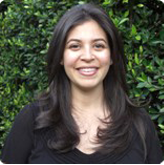 Nathalie now resides in Los Angeles, California with her husband and newborn son. Though only twenty eight years of age, Heather Perry has fourteen years of experience in the coffee industry. By the age of fifteen, Heather was working behind the espresso machine and experimenting with different drinks. Since her first shot of espresso, Heather has continued to improve and hone her skills behind the bar. Heather is the Director of Training and Consulting at the Klatch and spends much of her time training the national and international market. Using what Heather has learned from her own successful cafes, she helps customers design and launch successful cafes. Klatch Coffee was recently chosen as a new vendor for LAX, and Heather’s responsibility over the next years will be bringing great coffee to the passengers of LAX. Most notably, Heather is a Barista Champion and currently holds several titles. The most prominent competition took place this past year in Tokyo where she took 2nd place in the World Barista Championship, the highest finish for a woman. She is also the 2003 and 2007 United States Barista Champion and 2004, 2005, 2006, and 2007 Western Regional Champion. Heather is considered an industry expert, and has been published by numerous trade magazines. She also works as a consultant doing such work as product development, sales force training, and is a spokesperson for “Got Milk.” She has also made appearances on many networks including CNN, PBS, OWN, Discovery, and the Food Network, and is the Master of Ceremonies for the World Latte Art Competition hosted by Coffee Fest. She is Past Chair of the Barista Guild of America where she helped to write curriculum for, and launch, the association’s first Barista Certification program and Barista Camp. 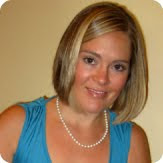 Heather is also a Credentialed BGA Level 1 and 2 Examiner as well as Credentialed Lead Instructor. During her time in coffee, Heather has expanded her knowledge on all aspects of the coffee industry. She is a key element in coffee cupping, roasting, and espresso blend development for Klatch Roasting. Her experience in green coffee includes dealing with farmers from throughout the world. She spends much of her time out of country where she helps coffee associations create training programs, and trains many countries in preparation for the World Barista Championship. Heather is a graduate from Cal Poly Pomona in California where she earned a degree in International Business and Marketing. Timothy Schilling is an agronomist, manager and former-researcher with strong market orientation and experience in agribusiness and cooperative development. His leadership as the Director of the USAID PEARL and SPREAD projects was crucial to the very successful entry of Rwanda into the American and European Specialty Coffee markets. This new multi-million dollar sector has doubled incomes for over 100,000 small coffee producers and has assisted the Government change the image of Rwanda in the international press. He also created Rwanda’s first Specialty Coffee roasting company, Rwanda Roasters SARL, for local sales. In addition to coffee, Schilling introduced and created the Bird’s Eye Chili pepper sector in Rwanda that is now exporting high quality, dried BEC to UK and French spice markets. He also developed and marketed Rwanda’s first fully produced, processed, packaged, and supermarket-ready food product for the French grocery chain, AUCHAMPS. As Chief of Party for the $20M USAID SPARC project in Mali, Schilling set up the Malian Agricultural Research Planning and Funding system at Mali’s Institute of Agricultural Research, IER. The system assisted researchers focus on results that directly affect farmer production and increased revenues through linkages with markets and industry. He introduced import substitution for replacing expensive, imported French maize grits with locally produced maize grits for beer production at Mali’s National Brewery. Malian Agricultural researchers integrated with Food Technology laboratories, the Milling industry and the Brewing industry to produce an acceptable replacement the French grits and substantially less cost to the brewery but high returns to farmers. As Associate Director of the Collaborative Research Support Program for Sorghum and Millet, Dr. Schilling gained an intimate knowledge on the workings of Universities, the U.S. Congress, USAID, and National Agricultural Institutes in African and Latin America. In addition to managing over 15 research programs in 6 different countries, Tim recruited over 100 African researchers from the SADCC countries for MS and PhD training in the US. 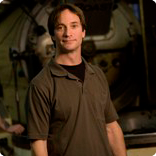 Paul began his roasting career with Coffee Bean International (CBI), in Portland Oregon, in 1982. In 1990, Paul was promoted to Roasting Manager and Green Coffee Buyer for CBI, overseeing coffee quality control and green coffee procurement. Paul was promoted to Manufacturing Manager in 1995. After 2 years, Paul was promoted to Roastmaster, overseeing all aspects of green coffee buying and roast quality. With over 25 years of coffee roasting and processing experience, and over 17 years of coffee procurement experience, Paul currently purchases coffee from more than 17 countries to include Certified Fair Trade, Certified Organic and conventional coffees. Paul has experience operating numerous styles of Probat, Gothot, San Franciscan, Jabez Burns, Primo, Diedrich, and various styles of fluid bed coffee roasting machines, ranging from half pound to 400 pounds per batch. Paul is a member of the Roasters Guild and has been on the Executive Council of the Roasters Guild since its inception, held the officer position of Chair on the Roasters Guild Executive Council in 2007/2008, is one of the founders of the Northwest Regional Roaster Group, is a Q Certified coffee cupper, teaches coffee related topics at annual Specialty Coffee Association of America (SCAA) conferences and annual Roasters Guild Retreats, and speaks about coffee related topics at numerous annual coffee events. Andi Trindle, Atlantic Specialty Coffee, Inc.
Andi C. Trindle works with Atlantic Specialty Coffee, running the quality control lab and trading green coffee. She is a very active member of the specialty coffee industry, with extensive origin and teaching experience and volunteer contributions. 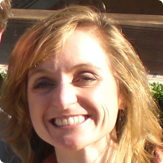 Andi has volunteered with the SCAA Training Committee since 1995 and joined the board of directors in March 2010. Her varied background within the specialty coffee industry began behind the espresso bar in 1989 and, since then, includes cupping, training/consulting, green coffee trading, roast quality control, sales, writing, and marketing. She has published articles with Roast Magazine and Specialty Coffee Retailer, as well as contributed to Fresh Cup, Coffee & Cocoa International, and Coffee Talk. Andi served 5 years on the board of the International Women’s Coffee Alliance, including a one-year term as President. Previous Post Previous post: 2011 USBC Registration Information!